So I was talking to my sister the other night about the possibility of her getting a doll. I know there are a lot of specials going on, but the biggest concern is to make sure we can get one with monthly payments that won’t be missed. Ideally less than $20/month. 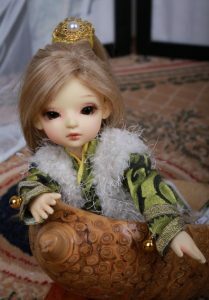 That really makes it difficult to find a doll that is within her budget – but it can be done! I remember seeing a few days ago that Mint on Card is offering 10% off of the Only-Doll line AND they can be put on a 6-month layaway for any order over $100. We figured out that if she wanted one of their 1/6 dolls with a faceup, she could get one for around $22/month. OR we could each get one without faceups, have them shipped to me, and it would only be $18/month. Woohoo! We’re not 100% sure if now is the right time, but the pricing does seem right! Now we are looking at Only Doll 1/6 dolls. Let me tell you, I’m soo tempted by YouBai & YouNan.